Indian Air Force has announced the recruitment for 232 Group C vacancies. 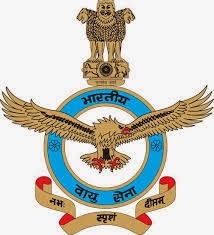 There are various vacancies for Store Keeper, Lower Division Clerk, Cook, Multi Tasking Staff & Other posts (Group C Civilian) in IAF under Headquarter Training Command, Bangalore. The eligibility is different for different posts. The age limit is 18 to 27 years for Stenographer, Junior Artist, Fireman vacancies and 18 to 25 for all other posts. The upper age limit is relaxable for reserved category candidates as per the government rules. The selection of candidates will be done on the basis of written test, skill test and personal interview. Eligible and interested candidates may send completed application along with all enclosures, self-addressed/ stamped envelope of size 24 x 11 cm and any other documents supporting their candidature in an envelope through ordinary post to the Air Force Stations/ Units, Relevant Address.